According to the Food and Agriculture Organization of the UN, every year, consumers in rich countries waste almost as much food (222 million tons) as the entire net food production of sub-Saharan Africa (230 million tons). The amount of food lost or wasted every year is equivalent to more than half of the world’s annual cereals crop. The FAO has also stated that food waste is a huge driver of climate change as 30 as all the global loss contributes to 8 % of total global greenhouse gas emissions. The Washington Post noted that, if food waste were a country, it would come in third after the United States and China in terms of impact on global warming. While we still have a long way to go to ensure that we waste less, some innovators are finding ways to get creative and reuse bits of food and animal products that typically get discarded. Former chef Daniel Pawson left his career of cooking for celebrities and Michelin restaurants to start a company that recycles discarded salmon skin from fisherman and turns it into flavorful salmon skin chips. As Forbes explained, Pawson and his business partner Dominic Smith decided to ask fishmongers in the U.K. for salmon skin that they normally discard as it has the perfect thickness and comes out high in nutrients after being cooked: 63 grams of protein per 100 grams and full of Omega-3. 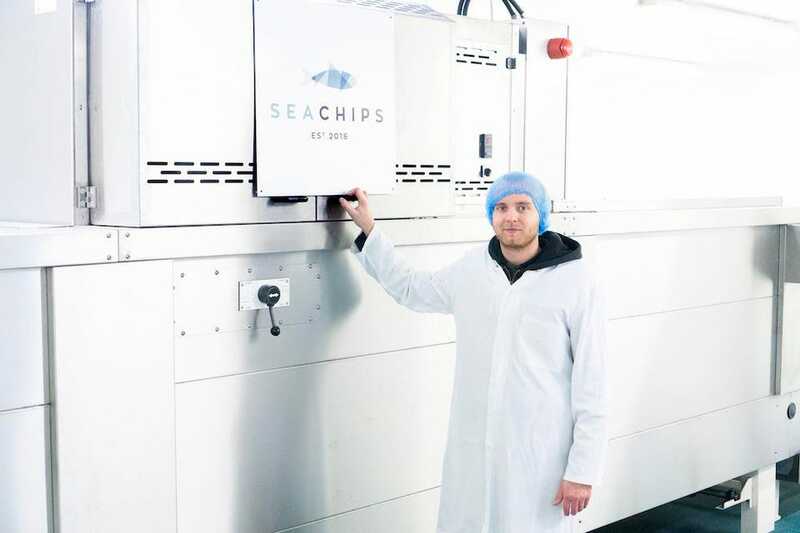 The duo launched Sea Chips which cooks the salmon skins into crunchy chips and sources MSC-certified farms where salmon are fed without artificial ingredients in their feed. The chips have become a hit in the UK and are a similar concept to pork rinds–where another sustainable food entrepreneur Ryan Farr sourced pork skins that would have otherwise been tossed by butchers to start 4505 Chicharrones. Why This Matters: A big part of the reason why food waste occurs is our attitude toward what food should look like, what’s deemed edible, and how we treat food once we buy it (notice how all produce at the grocery store is pretty and shiny? That means that “ugly” produce is often not even picked and left to waste). A new study has found that human error contributes to over 10% of food waste and a growing number of entrepreneurs have begun to figure out how to help upcycle food waste into edible food products–like 3D printed snacks! Reducing the amount of food we waste is one of the most impactful ways we can reduce carbon emissions so take it as a reminder to not buy more food than you can use and to have a plan for the food you do buy! Here are some practical tips to get you there.